Not subscribed to Member News? Sign up now. FAQ: I’m Going to Retire Soon. Will I Have Life Insurance in Retirement? Have an idea for a future article? VRS and ICMA-RC, the record keeper for VRS defined contribution plans, take many measures every day to keep your information secure. You can help by registering for your myVRS account and your defined contribution account, if applicable, through Account Access. Here’s how. VRS and ICMA-RC, the record keeper for VRS defined contribution plans, are committed to protecting the security and privacy of the information in your accounts. You are the only one who has access to myVRS and Account Access. To protect your account, never give anyone your usernames and passwords. Monitor your accounts often and change your passwords frequently. Start with a password that is not associated with you. Don’t use your birthdate, address, phone number, a child, spouse or pet’s name or anything else that someone can easily find on social media. Make up a passphrase instead of a password and use a combination of uppercase and lowercase characters, special characters and numbers. Phishing scams try to obtain your Social Security number, date of birth and other personal information to steal your identity. The scammers may appear to be a state, federal or local government agency, your bank or other official entity and can mimic the real thing. Be careful opening emails and attachments, especially from someone you don’t know or unexpected requests from someone you do know. Check links by hovering your mouse over them to see the actual URL. Do not click on unknown links. If it looks suspicious, delete the email. Protect your loved ones and yourself. Designate beneficiaries and allow access to your VRS account information by submitting the Designation of Beneficiary (VRS-2) and VRS Durable Power of Attorney (VRS-901) forms. The Designation of Beneficiary names beneficiaries for your defined benefit member contribution account and your VRS Basic and Optional Group Life Insurance. The VRS Durable Power of Attorney grants your named designee authority to act on your behalf to make VRS-related decisions. If you participate in the Defined Contribution Plans, you’ll need to designate a beneficiary for each plan in which you participate online through Account Access. Hybrid Retirement Plan members name beneficiaries for the Defined Contribution Component of their plan. Current beneficiaries also appear on your quarterly statement. If no surviving spouse, to your children and descendants of deceased children. If none of the above, to your parents. If none of the above, to the duly appointed executor or administrator of your estate. If no estate, to your next of kin under the laws of the state where you resided at the time of death. It’s coming. The holiday season will soon be here, with overexcitement, overeating and overspending. You’re on your own controlling the anticipation and the food, but myVRS Financial Wellness can help you control overspending. You have an entire financial education program right at your fingertips. So, before the holiday frenzy starts, log into your myVRS account, select myVRS Financial Wellness and plan to spend wisely. In addition to articles, courses, videos, calculators, budgeting tools and customized action plans, the program now features a quick behavioral assessment called Your Money Personality that will help you understand the why behind your money decisions. Here are some quick holiday season shopping tips from myVRS Financial Wellness. Give yourself a time limit to shop. Spend only your budgeted cash and try not to charge your purchases. Wear uncomfortable clothing to decrease the amount of time you want to spend on your feet. Go to as few stores as possible—as quickly as possible. Again, use a list of what you want to buy. Make a budget of how much you can spend online. Subtract the amount of each item you buy from the budget. Step away from the site before you put that item in your shopping cart. Do you still want it when you return? As more self-service features become available in myVRS, your secure online account, VRS is retiring the Virginia Informational Phone System (VIPS) line beginning January 31, 2019. Option 2, used to check your current member contribution account balance, will no longer be available by phone. 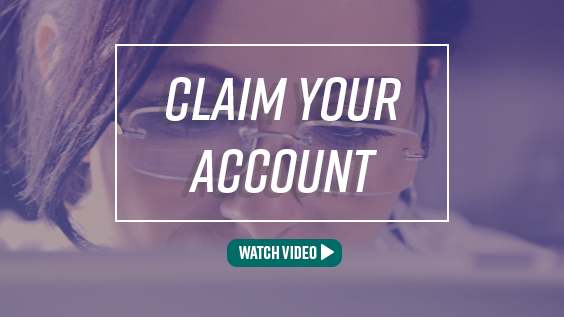 myVRS offers secure access to your member account from your smart phone, tablet or personal computer. Log in or register at myVRS.varetire.org to view your employment and salary history, your VRS account balance and the earliest date you can take unreduced or reduced retirement. Additionally, you can use the Retirement Planner to focus on your retirement goals throughout your career and the Benefit Estimator to preview your benefit amount in retirement. myVRS also offers a financial wellness program featuring short videos, educational games, mini-courses and budgeting tools to help you expand your money-management skills. As a reminder, myVRS is available Monday – Saturday, 7 a.m. to 11:30 p.m., and on Sunday, 8:30 a.m. to 11:30 p.m. If you need to speak to a VRS representative, call 888-827-3847, Monday through Friday, 8:30 a.m. to 5 p.m.
Don’t just stand there in the same financial place. Protect your future by increasing the amount of your voluntary contributions. Hybrid Retirement Plan members have until December 17 to increase contributions for the next quarter, which starts with the first pay period in January. Your voluntary contribution is in addition to your 1 percent mandatory contribution to the defined contribution component of your plan. Each quarter you can increase your voluntary contributions until you reach 4 percent of your creditable compensation. Your employer matches a portion. If you put money in your Hybrid 457 Deferred Compensation Plan account (up to 4 percent), your employer will match a portion of that contribution (up to 2.5 percent). Your retirement contributions don’t just sit in your account — they’re invested. The amount you set aside from each paycheck, plus the amount your employer puts in, is invested in funds that you choose. Your investments could generate compounded earnings, and then compounded earnings on those compounded earnings. Compound interest could make your money go further than if you simply set it aside without investing or spent it now. Even if you can save only a little right now, you can start with small annual increases to your voluntary contributions through SmartStep. If you cannot save 4 percent now for the full 2.5 percent match from your employer, small increases will help you reach 4 percent gradually, with less impact on your paycheck. Wondering how increasing the amount of your voluntary contributions could affect your paycheck? Check out the hybrid member paycheck calculator. The calculator compares your current contributions to the increase you choose, showing you the effect on your paycheck through a graph or a table. To increase the amount of your voluntary contributions, log into Account Access or call ICMA-RC Investor Services at 1-877-327-5261 and select option 1. Living a healthy lifestyle now will protect your income in retirement. Preventive care, daily exercise and eating well can help you remain fit as you age. And since health care costs are among the higher expenses in retirement, healthy living and preventive care early in life can pay off for your physical and financial health. Get your blood pressure checked at least once every one to two years. Get your cholesterol checked at least once every five years. Talk with your doctor about options for getting tested for colorectal cancer if you’re age 50-75. Talk with your doctor about depression if you have been sad or down, or feel hopeless. If you have high blood pressure, are overweight, inactive or have other risk factors, ask your doctor if you need to be screened for type 2 diabetes. Get help with healthy eating if your doctor has told you that you are at risk for heart disease or diabetes. Get tested for hepatitis C at least one time if you were born between 1945 and 1965. Get tested for HIV at least once. You may need to get tested more often depending on your risk. Ask the doctor about screening for lung cancer if you have a history of heavy smoking and you smoke now or have quit within the past 15 years. Watch your weight and ask your doctor if you are at a healthy weight. If you have fair (pale) skin, talk to the doctor about how to reduce your risk for skin cancer. If you use tobacco, ask your doctor about services to help you quit. Ask your doctor about vaccines you may need, including pneumonia and shingles vaccines. Get a flu vaccine every year to protect yourself and others. Many of these tests are covered by your health insurance and there is little or no out-of-pocket cost to you. However, it’s a good idea to save extra in case costs exceed your health insurance coverage. myVRS Financial Wellness has helpful ideas for setting up emergency funds, budgeting to cover hospital and doctor expenses and setting aside pre-tax savings for health care costs. Healthcare.gov: Information on health screenings and insights on ways to save on health care. Centers for Disease Control and Prevention: A wealth of information about remaining healthy throughout your life. It’s your future, make the best of it. Minnesota Life, the third-party administrator of the VRS Group Life Insurance Program, has adopted the name of its parent company, Securian Financial. There will be no change to group life insurance and optional group life insurance benefits or coverage, which will continue to be underwritten by Minnesota Life. VRS will soon begin changing Minnesota Life references to Securian Financial on the website and in publications. Yes, if your employer offers this benefit and you meet the requirements for retirement when you leave employment. A death benefit amount that is equal to your creditable compensation at retirement, rounded to the next highest thousand and then doubled. The benefit is payable if you die of natural or accidental causes. An accelerated death benefit option. If you are diagnosed with a terminal condition and have fewer than 12 months to live, you can withdraw some or all of your life insurance proceeds to use for any purpose. Your beneficiary or survivor will receive any remaining amount upon your death. The amount of your coverage begins to reduce on January 1 following one calendar year after your employment ends. The reduction rate is 25 percent each January 1 until it reaches 25 percent of the total life insurance benefit value at retirement. When you retire or defer retirement, your life insurance benefit is equal to your creditable compensation, rounded to the next highest thousand and then doubled. You retire on December 1, 2018. Your compensation at retirement is $49,780; for your life insurance coverage, that amount is rounded to $50,000 then doubled to equal $100,000. On January 1 following one calendar year after your employment ends (January through December), your life insurance coverage reduces 25 percent. On January 1, 2020, your life insurance coverage reduces to $75,000. On January 1 following two calendar years after your employment ends (January through December), your life insurance coverage reduces another 25 percent. On January 1, 2021, your life insurance coverage reduces to $50,000. On January 1 following three calendar years after your employment ends (January through December), your life insurance coverage reduces a final 25 percent and remains at that value for the rest of your retirement. Your final reduction will be on January 1, 2022, and your coverage will remain at $25,000* for the rest of your retirement. *The final amount of insurance will vary according to your creditable compensation when leaving employment. However, if you have at least 30 years of creditable service, your coverage cannot reduce below an $8,279 minimum. This minimum will be increased annually based on the VRS Plan 2 cost-of-living adjustment calculation. Classroom and webinar courses are posted on the VRS website as they are scheduled. Register from our Education and Counseling pages.